Working together, the Lake Saint Louis Dardenne Prairie Area Chamber of Commerce and the cities of Lake Saint Louis and Dardenne Prairie welcome the opportunity to introduce you to one of the premier, planned communities in the Midwest. 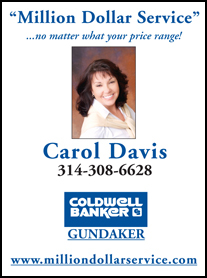 The Lake Saint Louis and Dardenne Prairie areas are young and fast-growing residential communities located on the western edge of the St. Louis metropolitan area in St. Charles County, Missouri. Bordered by Interstate 70 on the north and Interstate 64 to the south, Lake Saint Louis/Dardenne Prairie Area is easily accessible to the entire St. Louis region. Lambert-St. Louis International Airport is only a 20-minute drive to the east via Interstate 70 and is served by most major airlines. Corporate jets and business travelers are also served by Spirit of St. Louis Airport, a 20-minute drive east on Interstate 64. 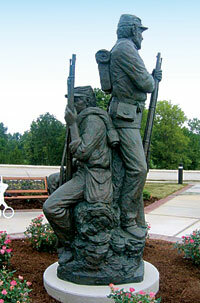 The Lake Saint Louis/Dardenne Prairie Area has shopping, restaurants, banking, office facilities and churches of different denominations within their city limits. Larger regional and specialty shopping areas, along with minor league sporting events, casinos and the UMB Pavilion, which features major talent in concert throughout the warm weather months, can be found within a 15-mile radius. The heart of St. Louis is approximately 40 miles east, with the Gateway Arch, Busch Stadium, Botanical Gardens, St. Louis Symphony, the historic Fox Theatre, and the Edward Jones Dome with its many professional sporting events, all within easy reach of the Lake Saint Louis/Dardenne Prairie Area. All the beauty and excitement of the great outdoors await you in the Lake Saint Louis/Dardenne Prairie Area. Whatever you are looking for in outdoor recreation can be found. Our resort lifestyle and numerous amenities offer residents a wonderfully unique environment for raising a family, retirement, and business development. City officials, residents and developers continue to work toward healthy economic growth and quality of life within our community. 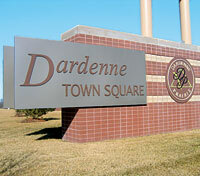 Welcome to the City of Dardenne Prairie, the heart of the golden triangle in St. Charles County. Small and quaint, Dardenne Prairie maintains a rural flavor in a suburban setting. If you are considering moving your family or business to the St. Charles County area, you’ll find our City a great place to be. Our City boasts acres and acres of natural parks, beautiful residences, several thriving business plazas and an industrial park. With a new downtown area, private high school and City Hall in the works, Dardenne Prairie is a wonderful place to live, work and play. Easy access to both Highway 40/61 and Highway 70, plus the new Page Avenue Extension when completed, make Dardenne Prairie accessible to the entire Metropolitan area. We welcome you to our City.